Prices and conditions of sale on all in-stock and special order merchandise are subject to change without notice. Every effort has been made to ensure the accuracy of all information contained herein. 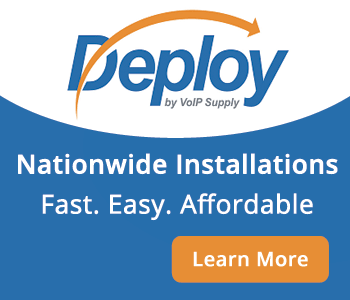 VoIP Supply makes no warranty expressed or implied with respect to accuracy of the information, including price, product editorials or product specifications. Product and manufacturer names are used only for the purpose of identification only. The image displayed for every product might not be the exact picture. This is used for display purposes only. All implied warranties including but not limited to implied warranties or merchantability and fitness for a particular purpose are hereby excluded. VoIP Supply reserves the right to cancel any order and issue a refund at its sole discretion. Software Sales Final. All software sales are final. VoIP Supply will not refund money or exchange any software purchased. Disclaimer of Warranties on All Software. 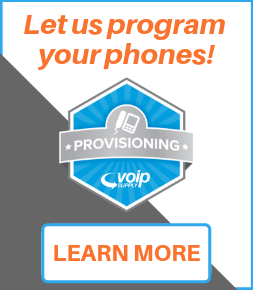 VoIP Supply makes no warranties, either express or implied, with respect to all software and accompanying manuals and materials, regardless of their source, their quality, performance, merchantability or fitness for any particular purpose. All such items are sold or licensed to purchaser by VoIP Supply on an "as is" basis. The entire risk as to their quality and performance is with the purchaser. Should such software prove defective following their purchase, purchaser assumes the entire cost of all necessary servicing, repair, or correction and any incidental or consequential damages resulting from any defect in such software. In no event will VoIP Supply or its suppliers be liable for direct, indirect, incidental or consequential damages resulting from any defect, even if VoIP Supply has been advised of the possibility of such damages. Shipping charges are automatically calculated when you place your order online. If there are any miscalculations happened, we have the right to change it anytime. Items with performance guarantee are guaranteed for first 3 days. VoIP Supply, its hardware or its software suppliers, makes no warranty, express or implied, concerning the applicability of any hardware or software to any specific purpose. VoIP Supply, its hardware or its software suppliers, accepts no liability for loss or damage caused, or alleged to be caused directly or indirectly by computer equipment or software sold by VoIP Supply, including but not limited to any interruption of service, loss of business or anticipatory profits or special or consequential damages resulting from the use or operation of such computer equipment or computer software. The terms and conditions of sale contained herein supersede all agreements made and purchase orders submitted to and accepted by VoIP Supply. All agreements are contingent upon such unavoidable incidents as strikes, accidents, material shortage, or other delays beyond VoIP Supplys control. Returns can be accepted only on brand new factory-packed merchandise. Items returned in used or altered condition will not be accepted. Software cannot be returned. Returns or exchanges accepted up to 7 days after arrival date. There maybe a 20% restocking charge on all returns to cover processing, insurance and bank charges. If buyer needs to return an item, call for a Return Authorization Number (RMA) and ship fully insured and freight charges prepaid. Returns without RMA number or sent freight collect will be rejected. . All software, support and liscense sales are final. VoIP Supply will not refund money or exchange any software purchased. Click here for more information on our return policy. All merchandise left our warehouse in good condition. The risk of loss or damage to goods shall pass to buyer as soon as such goods are picked up by carrier for delivery to buyer. Buyer should therefore inspect all packages for damages before signing delivery receipt. Claims should be filed immediately with the carrier (not with VoIP Supply) for merchandise damaged in transit. Delivery of merchandise if agreed upon shall take place according to original agreement unless special circumstances prevent VoIP Supply from delivering at that previously designated item, in which case VoIP Supply shall have a reasonable period of time in which to make delivery of the item (as purchased). Customer must be present to accept delivery. In the event that customer is unable to take delivery of the purchased item (At the originally agreed time and said customer fails to give VoIP Supply reasonable notice of such inability), there might be an additional charge for a second delivery. View a list of countries we offer our services to. Invoices are due and payable in accordance with the terms listed on the front of the invoice. An interest charge of 2% per month will be added to past due accounts. Transportation Charges for Warranty Service. 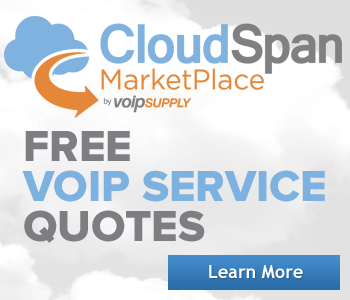 The cost of freight or transportation to and from any of VoIP Supply service centers. Required in order to complete any repair service under the terms of any manufacturers limited warranty, will be at the expense of and charged to the Purchaser. If a check tendered for payment by the purchaser is stopped or refused by the purchaser(s) bank, VoIP Supply will have the right to charge all or part of the amount due on any bank or charge card given by the purchaser as a credit guarantee. Any part exchanged after the 1st day will be charged an expediting fee if the normal warranty procedures cannot be respected. Deposits are not refundable unless otherwise specifically stated. Opening or otherwise tampering with the system for any purpose, including upgrading, by unqualified personnel may jeopardize all warranties. All Requests for Warranty Service or any other matters relating to hardware must be accompanied with an invoice. All invoices and payments are subject to audit. This sale is made contingent on the condition that the invoice will be audited and any errors in mathematics will be corrected and will represent the true balance due. In the event of a dispute. VoIP Supply shall be entitled to recover reasonable attorney(s) fees and cost incurred in the dispute resolution. 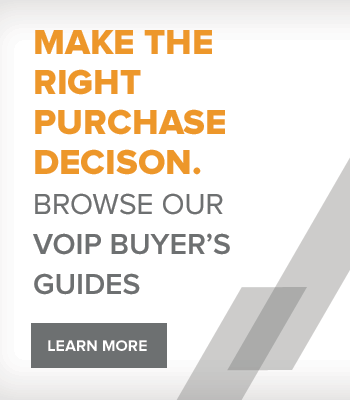 Unless otherwise specified in the invoice, the systems offered by VoIP Supply conform to standard industry practices in that they may or may not be manufacturer(s) base-models built-up to the customer(s) particular specifications with functionally equivalent or superior components. For will call products, prices may be different from our website. A $10 fee might be added on the original price of the product, please check from us if the item you order has an additional $10 fee. Please call to put the item(s) on hold. Prices in the invoice do not include installation, training or support, unless otherwise specified on the face of the invoice. We also accept money orders, cashier(s) checks and company checks. Please make checks payable to VoIP Supply. The amount of the check must be exactly the total of the order (which includes the shipping and handling fee, and sales tax, if applicable.) We require a photocopy of these checks faxed to our office for verification. For company checks we need a credit card back up. If you interested in setting up net terms please contact an account representative at 800-398-VoIP. VoIP Supply accepts VISA, MasterCard, Discover and American Express cards only. All credit card orders are subject to credit verification and approval. For your protection, credit card orders shipped to an address other than your billing address may require additional verification. It is best to call your credit card company to notate the alternate address for easy processing of orders. Pricing for International customers is based in US Dollars and may vary from day to day based on currency conversion at the time of ordering. Some credit card companies charge International conversion fees when processing foreign currency transactions. Please check with your card issuing bank to determine any fees. All International orders are passed through to our accounting department where pricing and payment is processed. A final and exact total, including product prices, duties, taxes, shipping and any other fees will be explained and presented for approval before shipping the goods. Visa and MasterCard are accepted when their authenticity and fund available is approved by our third party credit card fraud prevention providers. Net Terms are generally reserved for domestic (US Based) companies. Exceptions are typically reserved for listed/public companies operating in foreign countries. Paypal is accepted when product is being shipped to a confirmed shipping address only. We use the US Postal Service (USPS) and FedEx for our international shipments. USPS: Typically less expensive and often slower. USPS does offer tracing for their shipments on most international delivery methods. Unless paid in advance, all applicable duties and taxes are due to the recipient upon delivery. FedEx: Often a more expensive shipping method for international customers, if detailed tracking and speed are most important, this method would be recommended. All duties and taxes MUST be paid in advance when using FedEx. With all international shipments there is a possibility of delay. We do not have any control or influence over customs clearance and other regulatory screening. All products are shipped from our central warehouse in Buffalo NY USA. In the event that we do not have the product in stock at the time of your order, the products will be shipped to our warehouse and shipped once the order is complete* (complete meaning all items shipping in one shipment). All international orders require accurate address and must include a telephone number in order to expedite shipping and prevent lost shipments. A lost shipment must be reported within 10 business days of delivery in order for a claim to be filed, otherwise your request will be denied. Various fees are incurred when shipping internationally, including customs clearance fees and brokerage fees. For orders with a value less than $2500 (USD), these fees will be included on your invoice and must be paid in advance (FedEx only). The fees range from $30-$60 depending on the equipment’s final destination. There are no customs or brokerage fees on orders valued at more than $2500 (USD). Canada (Ground Only): There are additional fees assessed for ground shipments from the US into Canada. These will be calculated upon receipt of the order and confirmed with each customer prior to processing any invoice(s). When shipping via FedEx, applicable duties and taxes will be calculated and must be paid prior to shipping. Should there be a difference in actual amounts of duties and taxes, VoIP Supply will refund any difference based on a formal receipt or other proof of taxation. If we are not able to accurately calculate duties and taxes prior to shipping FedEx, the method of shipping will be switched to USPS and any differences refunded or applied.